For almost half a century, scientists have subscribed to the theory that when a star comes to the end of its life-cycle, it will undergo a gravitational collapse. At this point, assuming enough mass is present, this collapse will trigger the formation of a black hole. Knowing when and how a black hole will form has long been something astronomers have sought out. And why not? Being able to witness the formation of black hole would not only be an amazing event, it would also lead to a treasure trove of scientific discoveries. And according to a recent study by a team of researchers from Ohio State University in Columbus, we may have finally done just that. The research team was led by Christopher Kochanek, a Professor of Astronomy and an Eminent Scholar at Ohio State. Using images taken by the Large Binocular Telescope (LBT) and Hubble Space Telescope (HST), he and his colleagues conducted a series of observations of a red supergiant star named N6946-BH1. To break the formation process of black holes down, according to our current understanding of the life cycles of stars, a black hole forms after a very high-mass star experiences a supernova. This begins when the star has exhausted its supply of fuel and then undergoes a sudden loss of mass, where the outer shell of the star is shed, leaving behind a remnant neutron star. This is then followed by electrons reattaching themselves to hydrogen ions that have been cast off, which causes a bright flareup to occur. When the hydrogen fusing stops, the stellar remnant begins to cool and fade; and eventually the rest of the material condenses to form a black hole. 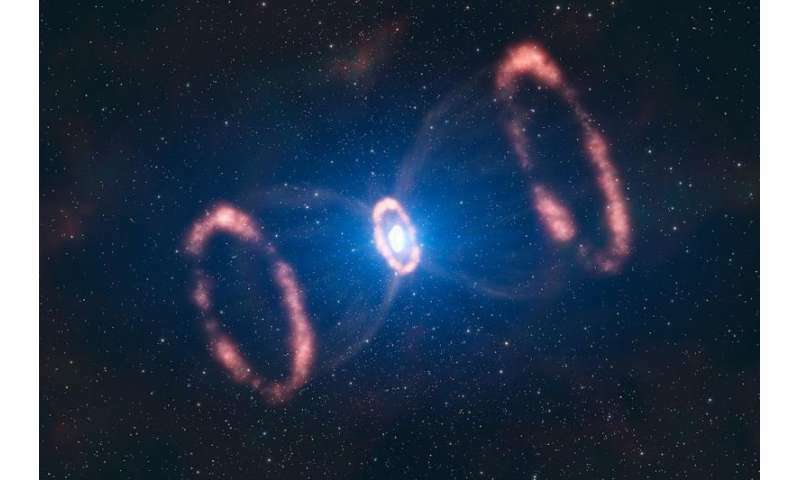 However, in recent years, several astronomers have speculated that in some cases, stars will experience a failed supernova. In this scenario, a very high-mass star ends its life cycle by turning into a black hole without the usual massive burst of energy happening beforehand. As the Ohio team noted in their study – titled "The search for failed supernovae with the Large Binocular Telescope: confirmation of a disappearing star" – this may be what happened to N6946-BH1, a red supergiant that has 25 times the mass of the sun located 20 million light-years from Earth. Using information obtained with the LBT, the team noted that N6946-BH1 showed some interesting changes in its luminosity between 2009 and 2015 – when two separates observations were made. 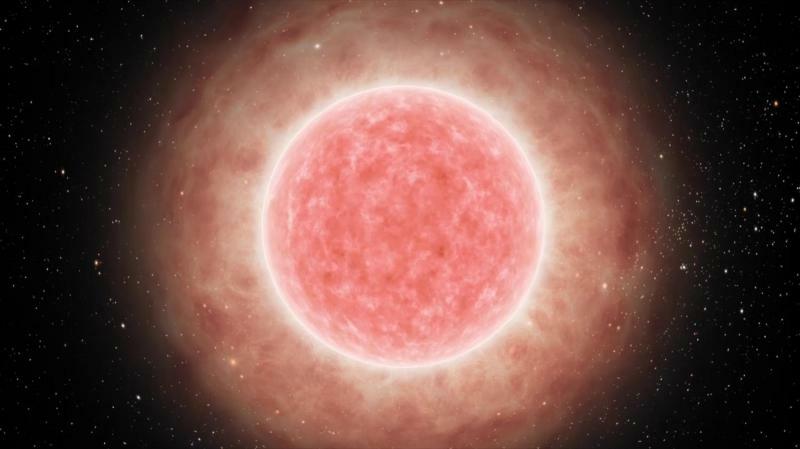 In the 2009 images, N6946-BH1 appears as a bright, isolated star. This was consistent with archival data taken by the HST back in 2007. However, data obtained by the LBT in 2015 showed that the star was no longer apparent in the visible wavelength, which was also confirmed by Hubble data from the same year. 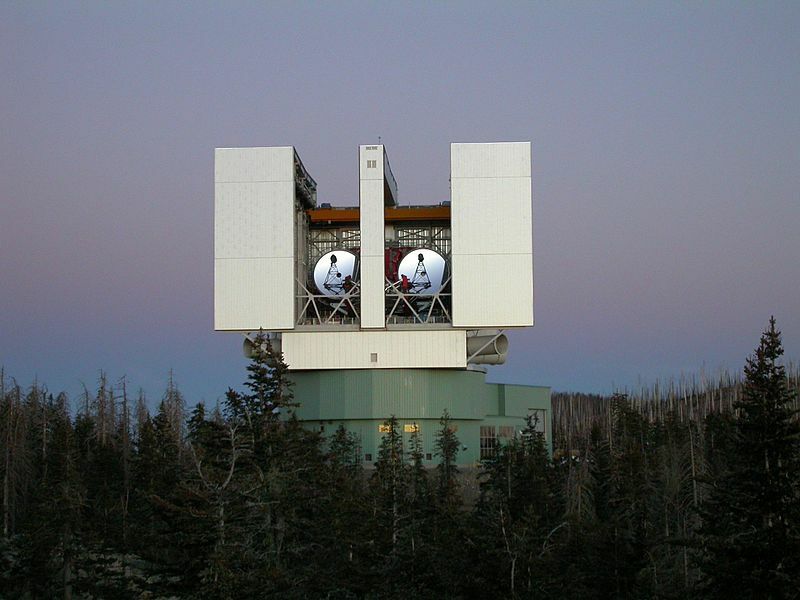 LBT data also showed that for several months during 2009, the star experienced a brief but intense flare-up, where it became a million times brighter than the sun, and then steadily faded away. 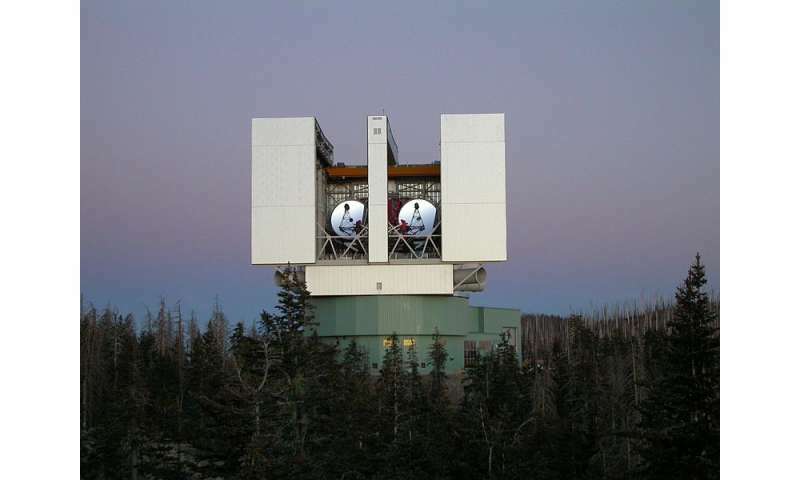 They also consulted data from the Palomar Transit Factory (PTF) survey for comparison, as well as observations made by Ron Arbour (a British amateur astronomer and supernova-hunter). In both cases, the observations showed evidence of a flare during a brief period in 2009 followed by a steady fade. Artistic representation of the material around the supernova 1987A. Credit: ESO/L. "In the failed supernova/black hole formation picture of this event, the transient is driven by the failed supernova. The star we see before the event is a red supergiant—so you have a compact core (size of ~earth) out the hydrogen burning shell, and then a huge, puffy extended envelope of mostly hydrogen that might extend out to the scale of Jupiter's orbit. This envelope is very weakly bound to the star. When the core of the star collapses, the gravitational mass drops by a few tenths of the mass of the sun because of the energy carried away by neutrinos. This drop in the gravity of the star is enough to send a weak shock wave through the puffy envelope that sends it drifting away. 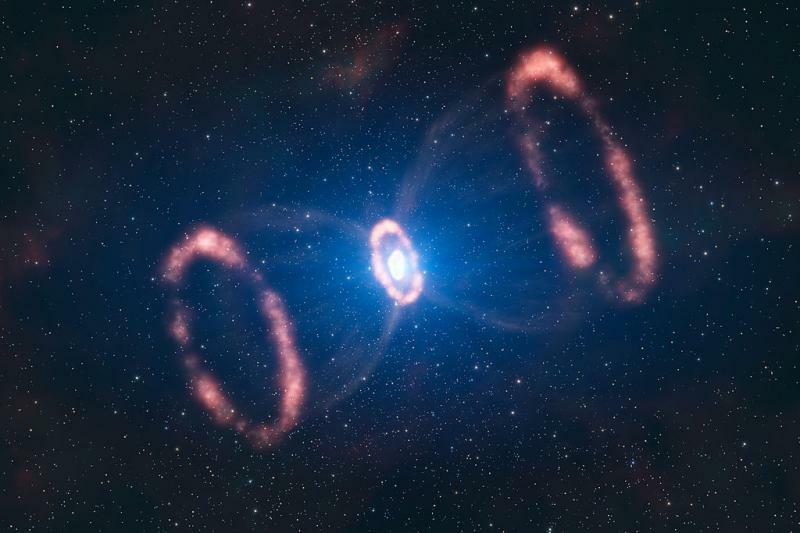 This produces a cool, low-luminosity (compared to a supernova, about a million times the luminosity of the sun) transient that lasts about a year and is powered by the energy of recombination. All the atoms in the puffy envelope were ionized—electrons not bound to atoms—as the ejected envelope expands and cools, the electrons all become bound to the atoms again, which releases the energy to power the transient. What we see in the data is consistent with this picture." Naturally, the team considered all available possibilities to explain the sudden "disappearance" of the star. This included the possibility that the star was shrouded in so much dust that its optical/UV light was being absorbed and re-emitted. But as they found, this did not accord with their observations. "The gist is that no models using dust to hide the star really work, so it would seem that whatever is there now has to be much less luminous then that pre-existing star." Kochanek explained. "Within the context of the failed supernova model, the residual light is consistent with the late time decay of emission from material accreting onto the newly formed black hole." Naturally, further observations will be needed before we can know whether or not this was the case. This would most likely involve IR and X-ray missions, such as the Spitzer Space Telescope and the Chandra X-ray Observatory, or one of he many next-generation space telescopes to be deployed in the coming years. In addition, Kochanek and his colleagues hope to continue monitoring the possible black hole using the LBT, and by re-visiting the object with the HST in about a year from now. "If it is true, we should continue to see the object fade away with time," he said. "The announcement on the potential discovery of a star that collapsed to make a black hole is very interesting. If true, it will be the first direct view of the delivery room of a black hole. The picture is somewhat messy (like any delivery room), with uncertainties about the properties of the baby that was delivered. 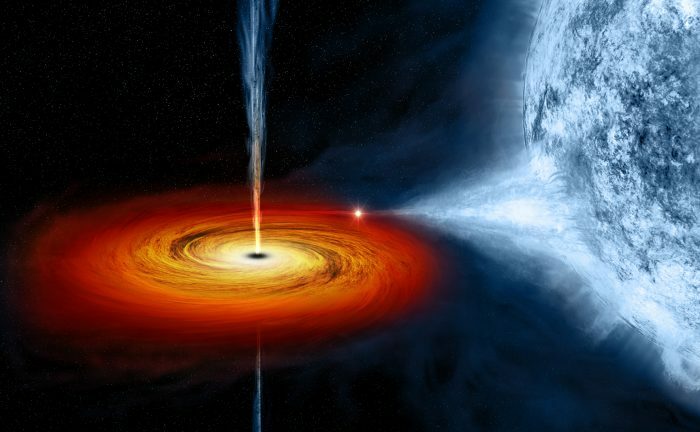 The way to confirm that a black hole was born is to detect X-rays. "We know that stellar-mass black holes exist, most recently thanks to the discovery of gravitational waves from their coalescence by the LIGO team. Almost eighty years ago Robert Oppenheimer and collaborators predicted that massive stars may collapse to black holes. Now we might have the first direct evidence that the process actually happens in nature. But of course, we must remind ourselves that given its distance, what we could be witnessing with N6946-BH1 happened 20 million years ago. So from the perspective of this potential black hole, its formation is old news. But to us, it could be one of the most groundbreaking observations in the history of astronomy. Much like space and time, significance is relative to the observer!